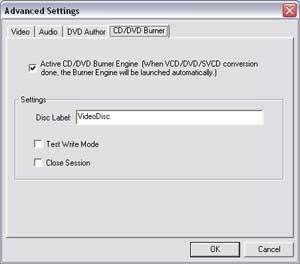 Read this guide and learn how to convert and burn video to DVD/VCD to playback in your home DVD player from all modern video formats, including AVI, DivX, XviD (*.avi, *.divx, *.div), MPEG-4, MPEG-1 (Limewire, Torrent), MPEG-2 (*.mpeg, *.mpg), WMV (Windows Media), DVD (*.ifo, *.vob, *.vro), DV Camera AVI (*.avi, *.dv, *.dif), Quick Time (*.mov, *.qt), WMV(*.wmv), Real Player Video (*.rm, *.rmvb), FLV (YouTube, Google Video) using Cucusoft DVD Burner Pro. Tools you need is Cucusoft DVD Burner Pro, with Cucusoft DVD Burner, you can also burn iTunes store movie and protected video to DVD to play on TV, but you have to remove the DRM protection at first, here is a step by step guide will teach you how to do that. If you want to copy copyright protected DVD movie to computer, you may take a look at this step by step guide. Please download and install the Cucusoft DVD Burner Pro at first. 7. After you click “Convert” button, the following dialog will pop up automatically. 8. After video conversion done, the “CD/DVD Burning engine” will be launched automatically. Please choose the DVD burner. Done! That’s all, it couldn’t be easier.